We often think of archaeology as being all about objects, but written sources are just as fundamental to our understanding of the past. Official inscriptions, graffiti and manuscripts – all of these give us the chance to hear the voices of long-vanished peoples speaking once more. Read on for seven writings recently featured in the pages of CWA that have given us important insights into the past. 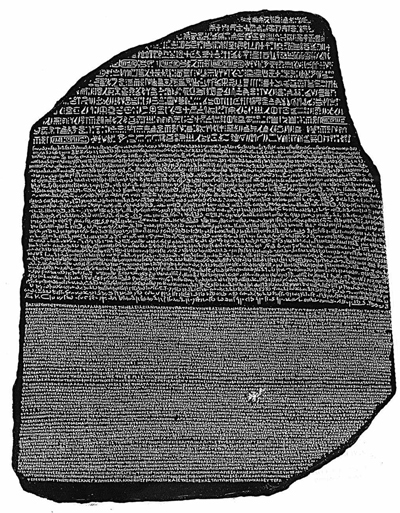 Arguably one of the most important inscriptions ever discovered, the trilingual Rosetta Stone was discovered by soldiers from Napoleon’s expedition to Egypt. Bearing text in hieroglyphs (the writing of priests), demotic (the writing of everyday ancient Egyptians) and Greek (the language of the Ptolemaic ruling class), it provided the key to deciphering hieroglyphs, a skill lost since the 4th century AD, and made the study of Egyptology possible. When Arthur Evans excavated at Knossos in the early 20th century he found thousands of baked clay tablets inscribed with mysterious symbols, representing a Bronze Age language that had never been seen before. Dubbed ‘Linear B’, this Mycenaean writing system defied linguists for 50 years until Michael Ventris finally cracked the ancient code in 1952, making Linear B the oldest deciphered language in Europe. 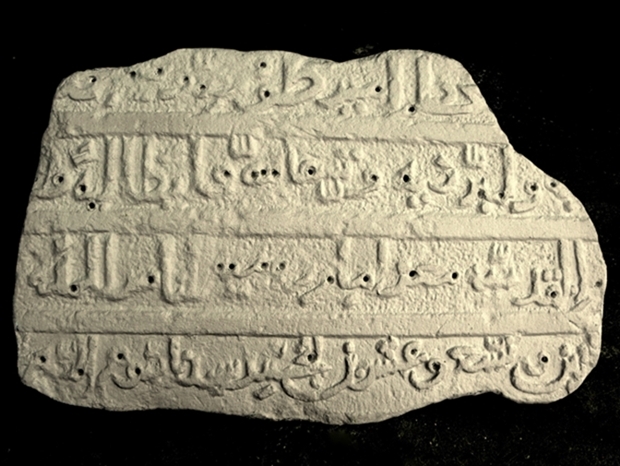 Once built into the city wall at Jaffa, this marble slab bears the only Crusader-period Christian inscription known to be written in Arabic. It is attributed to the Holy Roman Emperor Frederic II who secured Jaffa for the Crusader kingdom during his Sixth Crusade of 1228-1229, and was accompanied by another inscription in Latin, which together would have proclaimed Frederic II’s achievements to both the native population and Christian newcomers. 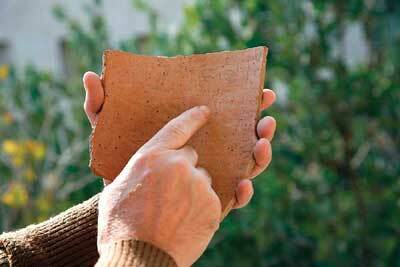 Five lines of faded characters written in ink on a scrap of pottery are thought to represent the earliest example of Hebrew text yet found. 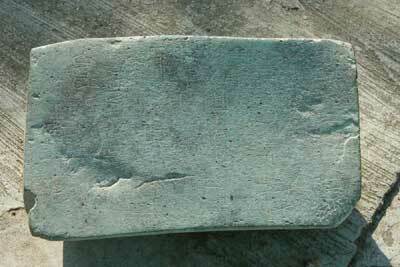 The sherd was found in a water conduit at Khirbet Qeiyafa, 20 miles outside, and is thought to date to around 975 BC. 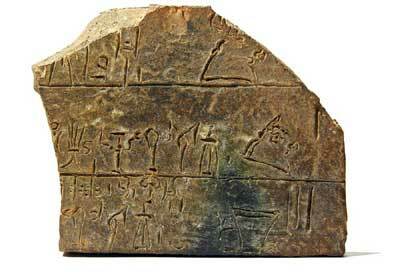 The writing is in a proto-Canaanite script and has not been fully deciphered, but the words for ‘king’, ‘judge’, and ‘slave’ have been recognised. 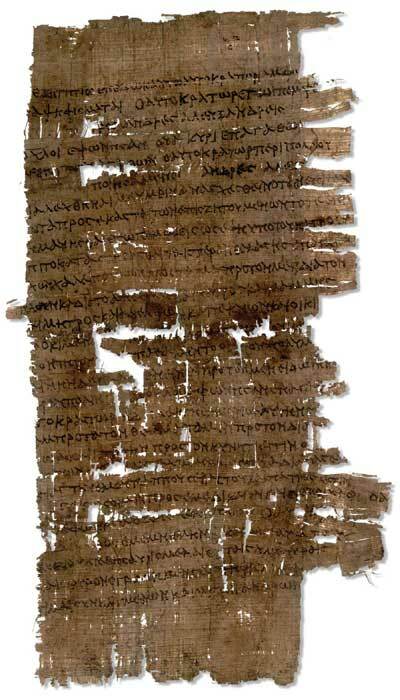 A bit of a cheat, as this is not one document but a huge body of writings – half a million fragments of papyri uncovered at the start of the 20th century. 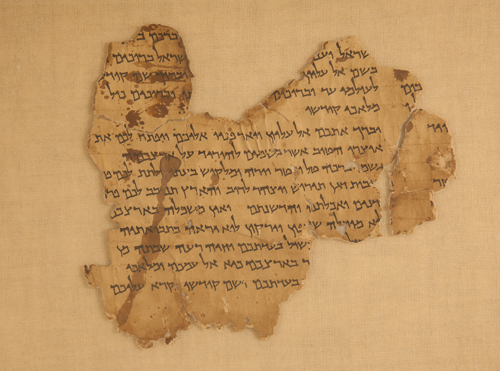 From early Christian texts and writings that illuminate the Classical histories to literature and all kinds of public and private documents, these fragile sources are written in a wide range of languages: Greek, Egyptian (hieroglyphic, hieratic, demotic, mostly Coptic), Latin, Arabic, Hebrew, Aramaic and others. Discovered accidentally by Bedouin shepherds in 1947, with more uncovered by archaeologists in the 1950s, these 800 documents represent the the monastic library of a radical Jewish missionary sect called the Essenes and include the earliest known version of the Hebrew Bible. Dating from Hellenistic times (c.250 BC) to the time of the First Jewish Revolt (c.AD 68), they are mostly written in Hebrew, with some in Aramaic or Greek. Found in a gravel pit by road builders in the late 1990s, this slab is inscribed with 62 distinct symbols, some of which are repeated, and is thought to date to around 900 BC, making it the earliest-known writings from the Americas. Some of the glyphs are known from Olmec art, including depictions of an insect, maize, corn plants, a table-top altar, and the four points of the compass, but most have never been seen before.